What Consists of Modern Popular Music? A basic pop song may include the following sections. 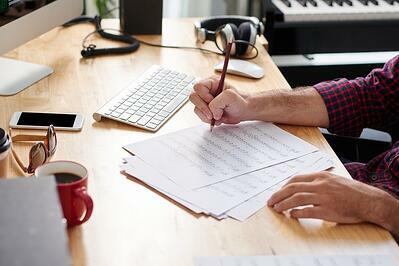 Are you looking at writing the next big hit pop song? Can you feel the melody and hook in your head and itching to get it down? Or are you not sure exactly where to begin? If you actively listen to pop music, there is a great chance you already understand the structure. You may just not be aware of it. When writing and creating music, there will typically be sections where you slightly repeat previous parts of the song. This doesn’t mean everything will be the same, but more so the feel will be similar. Instead of explaining what a verse or chorus is when it typically repeats itself, it is more beneficial to break down the various parts of the track in general. There are a ton of different strategies you can use when structuring a pop song, but this is a go-to by many songwriters. First off, the intro doesn’t have to be anything crazy. In most pop songs, the intro consists of a small musical element that fades right into the first verse of the song. Many songs will use a part of the song taken from the hook and put it into the intro to introduce the listener to the feel of the song. Whether this is something minimal with drums and keys or more full, it usually won’t consist of vocals. Most radio listeners can tell a specific song just by a few seconds of the intro, so making decisive choices here can pay off later. This is where the listener gets the first glimpse of what the vocalist sounds like. The verse is the part of the song that is telling a story. Verses will usually last about 8-16 bars. A "bar" is a way of measuring and counting time in music, and usually consist of four beats worth of music before the next bar starts, such as 1-2-3-4-1-2-3-4. You definitely want to make a big impression at this point in the song. Well, with so much new music coming out daily, people’s attention span when listening to music has gotten very short. Listeners are clicking ‘Next’ on their favorite streaming service trying to find that one song that catches their ear. Many times, the listener has so much to choose from that they are skipping songs within seconds, so this is why it's essential to make a good impression quickly. The Pre-Chorus or “Pre” will lyrically be similar to the verse, but will leave room to introduce a little variation. In some pop songs that mesh more with electronic dance music, this is the section of the song where a build-up would happen. A quick change in chords is also a great way to hint at the upcoming chorus! This section will usually last 4-8 bars. The Chorus, or as some call it the “Hook," is where the earworm develops, leaving people singing it throughout the rest of their day. This will be this biggest part of the song, and probably the most fun part. Melody is everything in this section so don’t rush the process when trying to think of something catchy. A chorus will also usually last for 8 bars as well. After the Chorus, you will go back into a verse, pre-chorus, and chorus. Keep the feel of the song going after the chorus with some drums, so not all is lost! Expect to be writing lyrics that are somewhat similar to your previous verse, pre, and chorus in terms of tone and feel. You can keep the same melody but change up the lyrics. Typically, if you break your verses into two parts, so Verse 1A and Verse 1B following by Verse 2A and Verse 2B after the chorus, Verse 2B tends to be different in melody and style from the other three. This helps add variation and contrast. It's smart to change the dynamic in these parts of the song. Adding harmonies and different voices in the pre-chorus can really bring a section to life. Once you have figured out the art of harmonizing, make sure you don’t overuse it. These parts are meant to be special and don’t need to be laid across the whole song. After your second magical, ear-catching chorus will come the bridge. This is something brand new in your song! The bridge is a distinct section that will help you get to the concluding point of the song. Coming after the chorus, you may feel like they hit a roadblock at this point because all of the verses, pre-choruses, and choruses are complete. Sometimes the song won't even be 3 minutes long yet, so you’ll need a little more music to push through to the end. 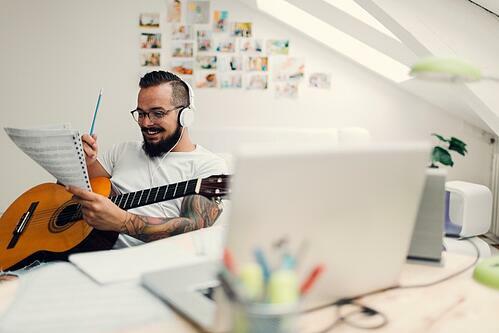 Bringing in major or minor chords contrary to the previous chorus may provide a nice contrast for the listener so they can distinguish something different is happening here. The bridge can lead into the pre-chorus or even right into the final chorus if you’d like. The bridge will build the tension again before it’s all released in the last chorus, giving the listener one last dose of fun. It is important to remember that in music there are essentially no real rules. That's not to say that there aren't helpful guides you can follow. And seeing what already works and learning from your idols can be incredibly beneficial. So when you’re writing a song and you don’t feel like putting in another verse or another pre-chorus before that big chorus comes, then by all means, do what feels right to you. There are different variations of structuring a pop song, but this has just been an explanation on how to get your feet wet with a standard structure used by many songwriters. Are you looking to become the best version of yourself as a musician possible? 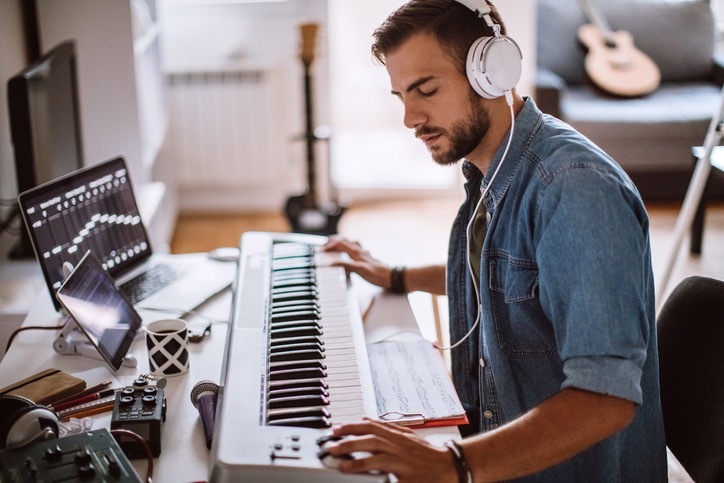 You're already on the right track by researching and learning on your own by reading this article, but one fantastic way to separate yourself from the crowd is by attending an Accredited Music School. The Atlanta Institute of Music and Media has innovative and immersive music and media programs that are taught by industry-leading professionals. The coursework is hands-on and you'll be combining technical and music skills like never before! Click the link below to learn more about AIMM today.